The Peak District has been an important area for walkers and climbers for over 100 years with many well-established footpaths. Less well-known are the opportunities for hands-on ascents, up gullies, brooks and cloughs, where scramblers can keep fit and hone their skills year-round. 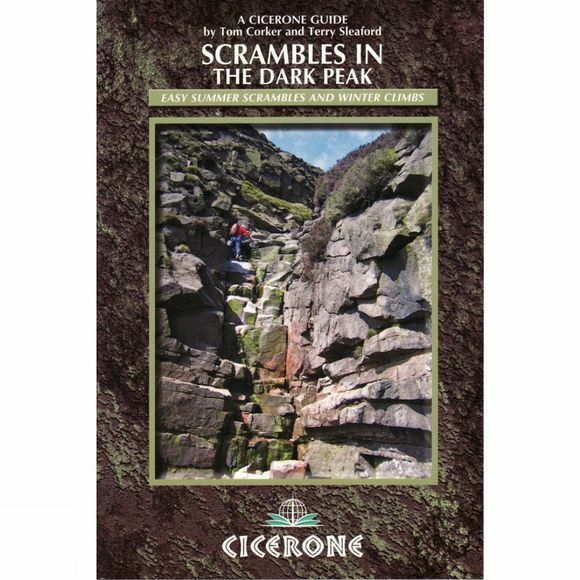 This guidebook to scrambles in the Dark Peak and Roaches describes over 40 winter and summer routes, with plenty of links and extensions to make up longer, more challenging days on the moors. It is aimed at the more adventurous walker who might wish to add a little more spice to their outings, and also those with some rock-climbing experience who may be looking for something away from the mainstream crags while retaining some element of hands-on contact with the rock. Routes are graded for difficulty and range from scrambly walks to more difficult rock climbs. Easy routes are suitable for walkers with good fitness and navigation skills, while harder routes are for experienced rock climbers.